What can you do with a mini skip hire? 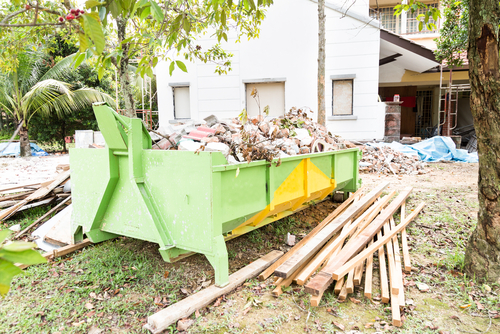 Are you looking to do a rubbish skip hire but not so sure about what to expect? 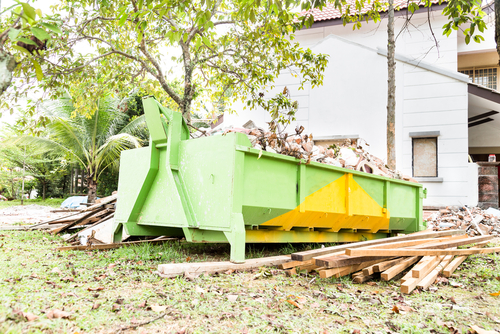 What exactly are rubbish skips and what can you actually do with it? These are all perfectly good questions especially if you've never had to deal with such services in the past. If you're reading this then you're probably wondering about the very same thing and its probably what brought you to this page in the first place. 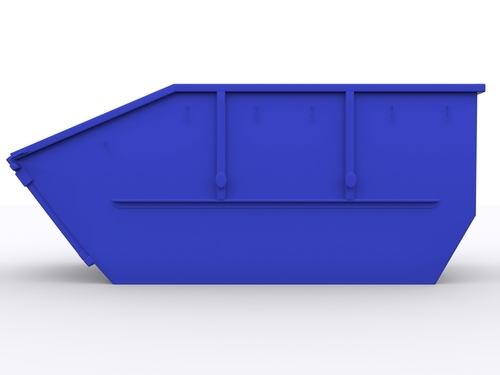 Now mini skips are essentially large metal bin containers designed to hold general non-toxic waste. Prices for a rubbish skip hire in the country are fairly competitive and you most likely won't need the extra storage all year round. Hence it would be more economical to go for a cheap skip hire for say, the occasional spring cleaning or when dealing with a few renovations around the house. The great thing about a mini skip hire is that it not only provides you with extra storage for all your rubbish but such services also include delivery and pick-up to your location which is certainly convenient. More importantly, they also undertake the task of sorting your rubbish and recycling what they can which is certainly of great help to the environment. Now you've got a number of options when it comes to doing a rubbish skip hire. This includes bin sizes which starts at 2 cubic metres; perfect for the occasional clean up around the house and can be filled with general household waste. If you require more storage space, larger bins are also available (generally up to 9 cubic metres). Skip bins also differ in terms of the kind of rubbish that it can store (builder's waste, household rubbish, junk electronics, chemical waste, etc) so be sure to clear usage requirements with your service provider. Looking to get started? Call Bins Adelaide today on 0426 570 035 and arrange for a rubbish skip hire with one of the top service providers in the country! What do you need to know about doing a mini skip hire? People choose to do a skip hire in Adelaide for different reasons - spring cleaning, home renovations, gardening, removal of an old shed and many more. If you're reading this then you're probably in such services yourself. That said, there are a number of things that you need to know about renting a skip bin if only to make the most out of such services. Now renting out a skip is a fairly convenient process and prices of a skip hire in the area are very competitive. You can even do it online here at Bins Adelaide; simply book a date and time when you want your bin delivered, your desired bin size and location. You will then get to keep the bin for set period of time and fill it with all the rubbish that you're looking to throw out. We then come in to collect the skip along with all your rubbish and drop them off to a proper waste management facility. How convenient is that? We offer some of the cheapest skip bin hire in the area! Indeed doing a mini skip hire is easier than you think and makes it convenient to get on top of your waste management needs no matter how big (or small) it is. Of course there are a few things that you need to know about such services. For one thing, there are limits to where you can actually set one of these bins for your personal use. While you can expect delivery of your skip bin to where ever you need it, you need to make sure that there is adequate space for it and that the bin itself doesn't pose a danger to yourself or other people in the community. If you plan on setting the bin on the side of the road, you will need to apply for the necessary permit from the city council. There are also limits to the kind of rubbish you're allowed to fill your bin with. In most cases, you are not allowed to throw in asbestos, unused paint, gas canisters and other hazardous substances which require added measures for safe and proper disposal. You also are not allowed to overload a skip bin least it presents a danger to others during transport. Make sure that you size your bin correctly or arrange the use of multiple bins whichever suits your needs best. Looking to get started? Get in touch with us today on 0426 570 035 and check out some of the best deals for a skip hire in Adelaide! 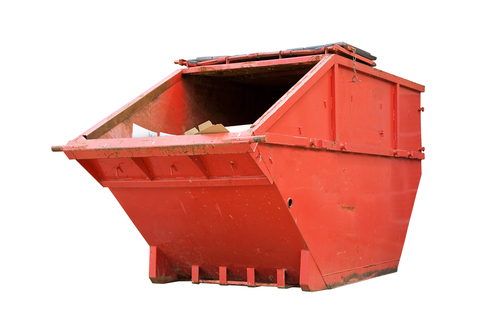 Are you thinking of hiring skips in Adelaide but not so sure if its something that is well worth spending your money on? Why hire one of these giant trash bins in the first place? What most people don't realise though is that these services offer more than just added storage for all the rubbish that you're looking to throw out. How exactly is this so? While most people have no trouble managing their waste on a day to day basis, there are situations that require more than just your regular trash bin. Perhaps you're due for an annual spring cleaning or you might be in the middle of a building project and finding it hard to get anything done with all the clutter? Mini skips give you added storage space for all your rubbish any time you need it. Your skip bin is delivered on-site and collected afterwards along with all your rubbish; Proper waste management has never been easier! If you've checked on skip prices in the country then you'd know that these bins can be quite expensive and you likely won't need the extra storage space all year round. You can enjoy the same benefit at a fraction of the cost by renting one! Mini skip prices for a bin hire has gone down over the years and you can rent a small one ( 2 cubic metres) for less than $150. This of course includes delivery and collection charges so that you don't have to worry about anything else. Yet another great thing about renting mini skips in South Adelaide is that these service providers not only help you get rid of your trash but uphold your responsibility to the environment as well. All the rubbish that they collect from your bin is routed to the nearest waste disposal facility for recycling. Convinced of the merits of doing a skip hire? Call us today on 0426 570 035 and check out some of the best deals for hiring skips in Adelaide! Are you thinking of renting skip bins in Lonsdale? Is it worth it and why would you even consider doing that? These are all perfectly good questions and something that you might be wondering about if its your first time looking into such services. Let's get right to it! We all have to agree that proper waste management is important may it be at home or in the midst of daily business operations. Leaving all your rubbish to pile up isn't going to do anybody any good and may even present a significant health and safety concern. Accumulated waste serve ideal breeding grounds for pests along with a wide range of diseases. Areas cluttered with rubbish are also an accident waiting to happen resulting in serious injury. Now unfortunately proper waste management does not always come easy for most people and some of us are occasionally left with more trash than we can handle. This is particularly true when doing home renovations or building projects. More so if you own a commercial property as an excessive pile up of rubbish can easily hamper your business operations. This is where a skip bin hire can prove to be very useful. What can mini skips really do for you? Mini skips serve as large containers that you can fill with all your rubbish. You can think of it as a huge trash bin. These bins are expensive and if you only have occasional need for it, renting one would certainly be more practical. Perhaps the best thing about doing a mini skip hire is that it not only provides you adequate storage for all the rubbish that you're looking to throw out but the company you're renting these skips from also shoulder the responsibility of collecting it at the end of the term and hauling away your trash. More importantly, companies that rent out skip bins in Lonsdale are bound by law to properly dispose of all the rubbish they've collected, recycling and reusing what they can so you'd be doing your part in helping out the environment. Ready to get started? Why not entrust your needs to one of the most reputable service providers in the country? Call Bins Adelaide today on 0426 570 035 and check out some of the best deals for hiring skip bins in Lonsdale. Looking to do a skip hire? Are you interested in hiring skip bins in Adelaide? These bins are essentially big, industrial-sized containers similar to the ones you'll find loaded unto waste disposal trucks and around construction sites. Smaller versions are available for private or commercial use. Of course you can always buy your own skip bin although that's hardly practical especially for residential users. The better option would be to do a skip hire from companies that rent them out. Such a company also hauls away the bin after you're done along with all your rubbish. Isn't that convenient? 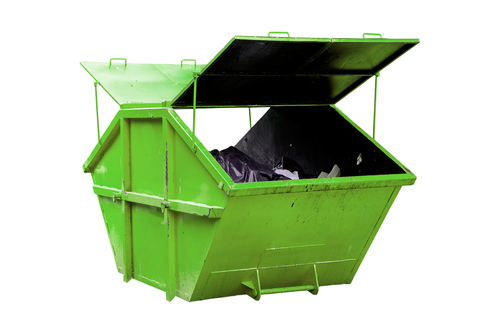 Indeed budget skip bins can prove extremely useful when you're dealing with significant amount of rubbish as is often the case with most commercial establishments or if you're doing a few renovations around the house. However there are certainly a number of things that you need to know about hiring mini skip bins in the country if only to avoid any problems along the way. Skip bins in Adelaide come in various types along with the kind of rubbish that you can put in them. For instance, you can't put waste electronics in a skip bin designed to hold construction waste materials. Same goes for toxic and flammable materials which require a specific type of skip bin. Make sure you clear these things with your service provider first and let them know exactly what you'd be using the bin for. Skip bins also come in various sizes from 2 cubic metres holding up to 2.5 tons of rubbish to as large as 9 cubic metres. It's important to size your bins correctly to avoid any inconvenience and additional cost. Filling a bin beyond its maximum capacity is also not an option as your service provider may refuse to haul away your rubbish as its against state regulations. The best thing to do is plan ahead and get a bin that is large enough to address your waste management needs. Some bins also come with additional features if you should need them - wheels for easy relocation, locks for better security and rear doors for more convenient access. Ready to get started? Knowing exactly what to look out for puts you in a much better position to keep on top of your waste management needs. Call Bins Adelaide today on 0426 570 035 and check out some of the best deals for hiring skip bins in Adelaide.